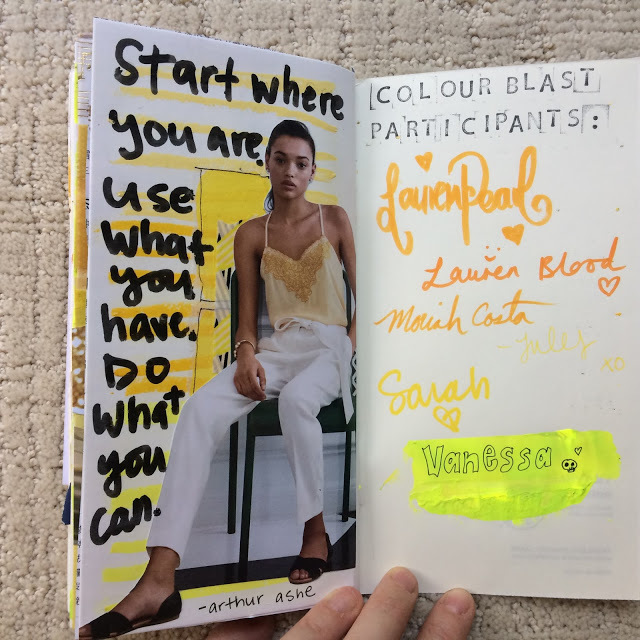 We have come to the last Color Blast journal before we share our very own completed journals. 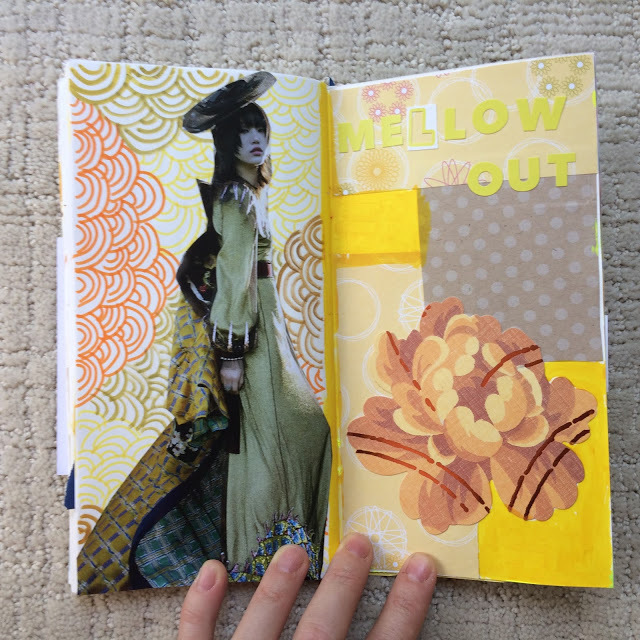 My Participation in Color Blast ended with Riet’s gorgeous Yellow Journal. 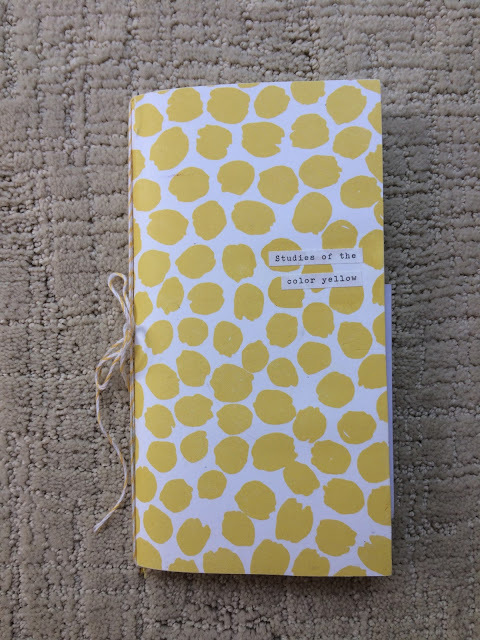 I am not a yellow kind of girl so I was unsure about my approach to this journal. 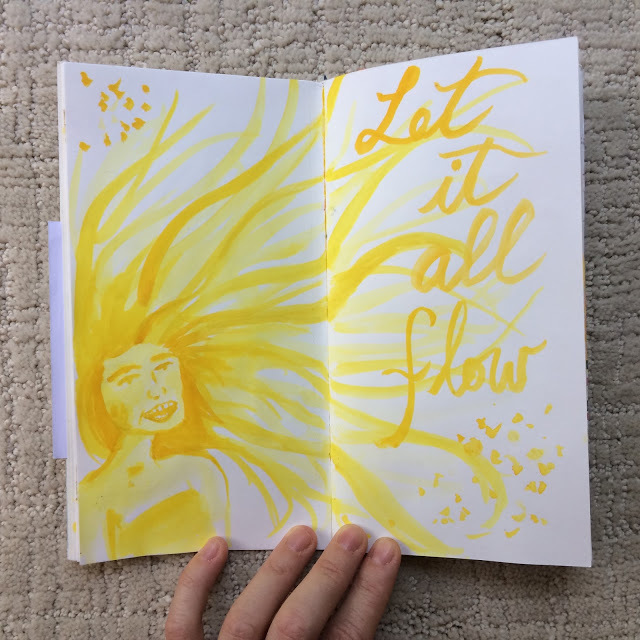 But once I had it in my hands, everything came together. 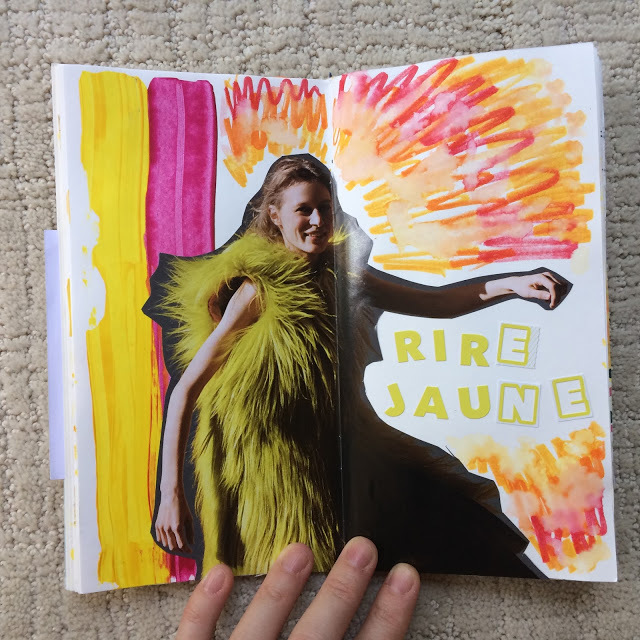 As I did with th other color journals, I added some French expressions. Rire jaune means to laugh ironically. So I tried to pair this sentiment with a happy image to change the narrative. 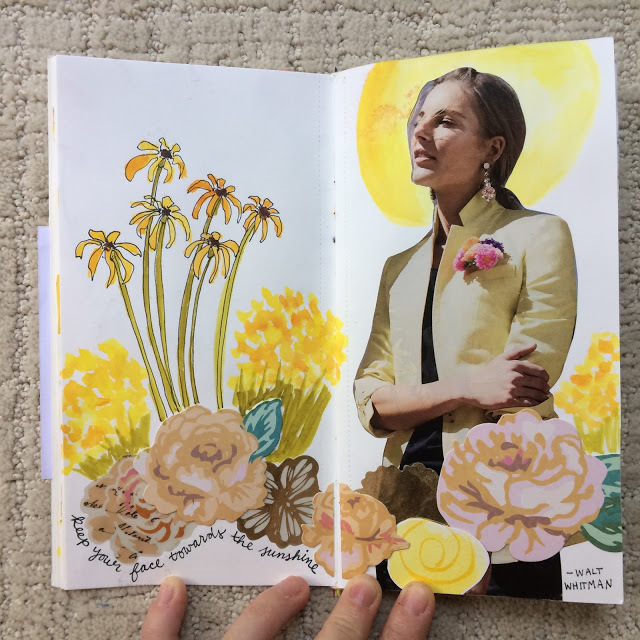 This was one of my favourite pages to participate in! 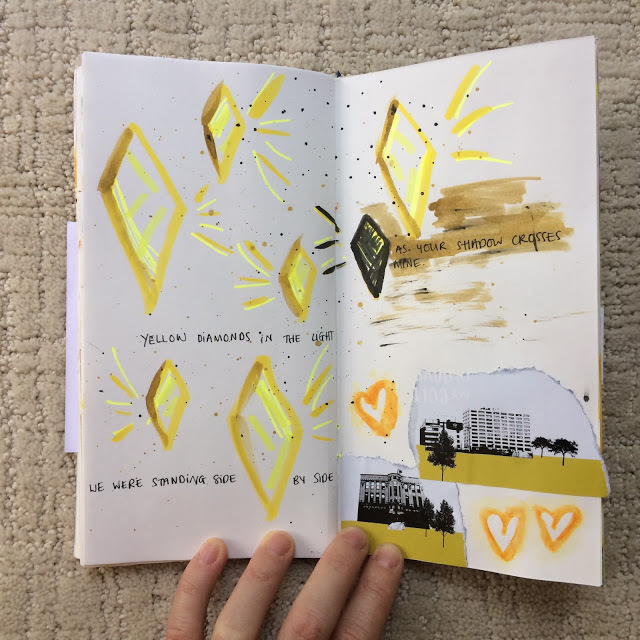 Since I was the last person to have this journal, I was able to add to some of the other spreads, like the buikdings in these pages. I added the figure and the message to these backgrounds. 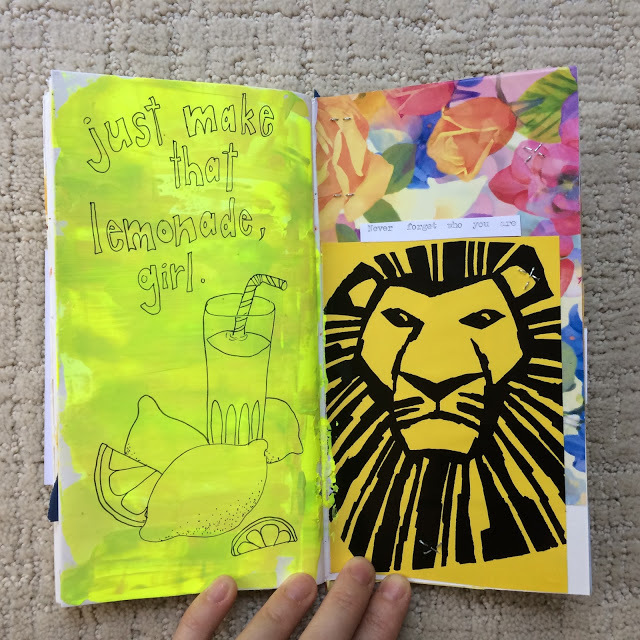 I had the yellow journal in August and that was also when I had just finished my Lemondade journal, so the page on the left appeared. 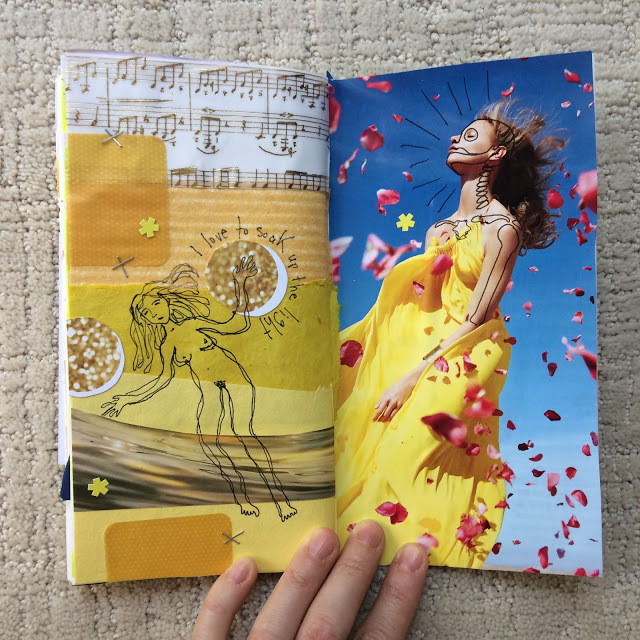 This is my absolute favourite spread. 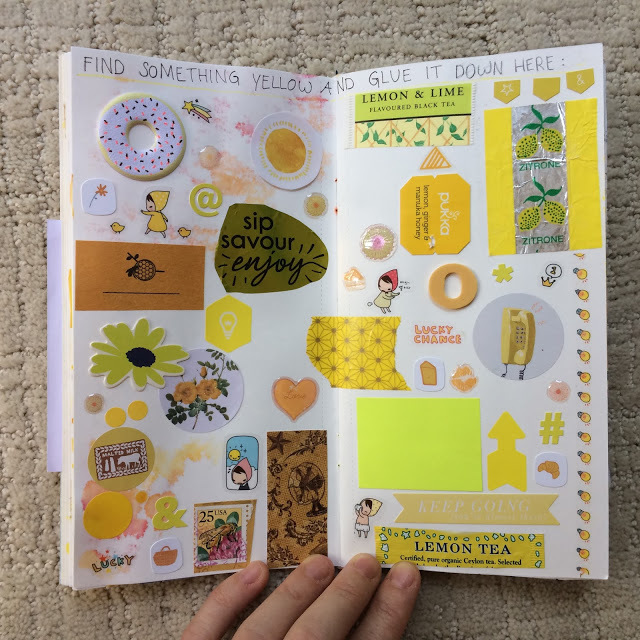 Another page with some add-ons by me. Go check out everyone else’s pages! We are so close to finishing! Riet, Lauren, Moriah, Jules, Lauren and Sarah.